Zoom through Gardens by the Bay easily with an e-scooter rental and drop by Satay by the Bay or Majestic Bay for a unique dining experience! Hassle-free in getting the ticket! It saves time and let me enjoy the whole activity. 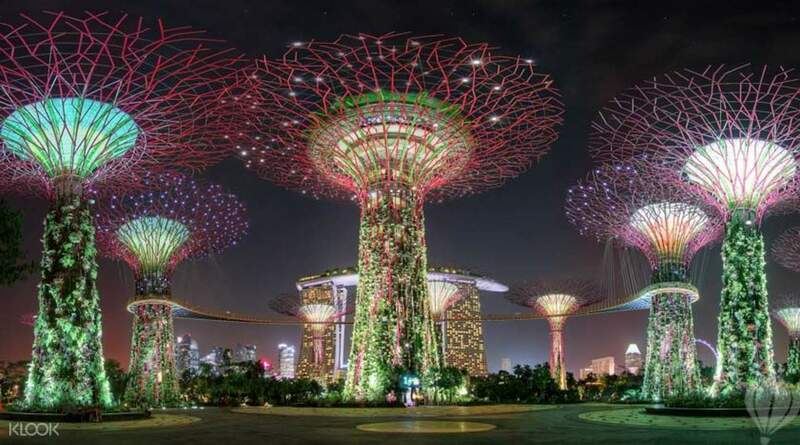 An iconic Singapore destination, Gardens by the Bay is undoubtedly at the top of every visitor's itinerary to the city. It's waterfront gardens (Bay South, Bay East, and Bay Central) and conservatories (Flower Dome and Cloud Forest) as well as the newly opened Sun Pavilion, feature some of the most incredible man-made structures built to house flora and fauna from all over the world. Your Singapore Gardens by the Bay ticket gives you full access to the two conservatories and what's more, you can even skip the ticket line and enter directly with your Klook voucher. 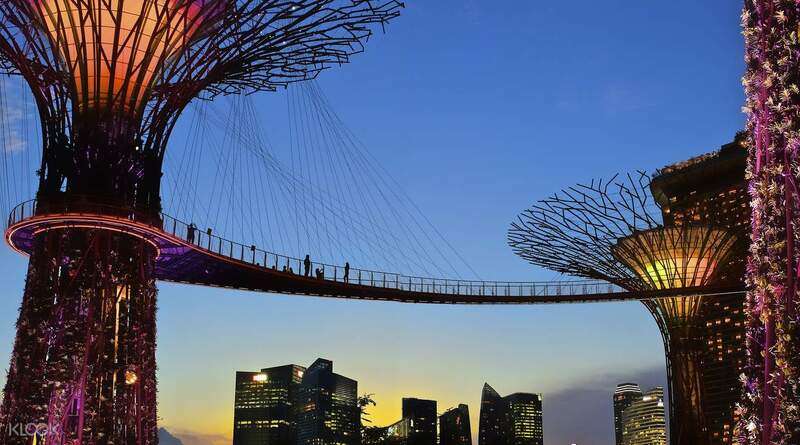 Learn about the powerful interconnectedness of ecology, see the tallest indoor waterfall, walk amidst the Supertree Grove, then cross the OCBC Skyway (surcharge applies) for spectacular views of Marina Bay. 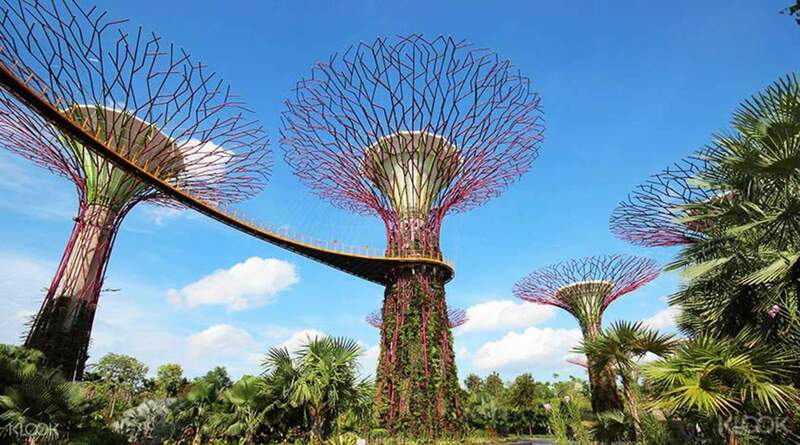 With countless attractions for both grown-ups and children, Gardens by the Bay in Singapore is certainly a day worth spent! Visit gardensbythebay.com.sg for a schedule of the conservatories' maintenance dates. You don't want to drop by when the attractions are closed! The Gardens is absolutely gorgeous...you can enjoy the unpaid areas but the paid areas are also amazing, especially the Cloud Forest - this is simply a must do! Towering above the ground with high walkways, the glass dome feels futuristic. When inside, your spirit is refreshed by being surrounded by so much natural beauty! My students and I were so delighted to be here and couldn't leave! There's also awesome 360 views of Singapore, including the Marina Bay Sands hotel. The Gardens is absolutely gorgeous...you can enjoy the unpaid areas but the paid areas are also amazing, especially the Cloud Forest - this is simply a must do! Towering above the ground with high walkways, the glass dome feels futuristic. When inside, your spirit is refreshed by being surrounded by so much natural beauty! My students and I were so delighted to be here and couldn't leave! There's also awesome 360 views of Singapore, including the Marina Bay Sands hotel. Too many people going to this place so the advanced tickets were very helpful. We didnt need to redeem any vouchers, just go thru the entrance with the printed or qr code on the phone. The waterfall is huge and there are many types of flower. Too many people going to this place so the advanced tickets were very helpful. We didnt need to redeem any vouchers, just go thru the entrance with the printed or qr code on the phone. The waterfall is huge and there are many types of flower. This is one of the best place in Singapore, beautiful and with air-conditioning. The garden is so big and I just had around 45 mins to stay here. I could only visit the Flower Dome. I wish I could have time to visit the Cloud Forest too. This is one of the best place in Singapore, beautiful and with air-conditioning. The garden is so big and I just had around 45 mins to stay here. I could only visit the Flower Dome. I wish I could have time to visit the Cloud Forest too. I have visited with my family, everyone is happy. especially cloud forest is awesome. My kids are enjoyed through out the garden. One should not miss evening light show which is free. Light show will add additional flavor to your half day garden tour. I have visited with my family, everyone is happy. especially cloud forest is awesome. My kids are enjoyed through out the garden. One should not miss evening light show which is free. Light show will add additional flavor to your half day garden tour. This is supertacular!!! You must purchase this when visiting singapore. The pass you get is your ticket. The forest dome is better than flower dome. It is full airconditioned that will save you from hot weather of Singapore. Best time to visit here is around 4-6pm and then check out the Light Rhapsody to OCBC or Supertree. This is supertacular!!! You must purchase this when visiting singapore. The pass you get is your ticket. The forest dome is better than flower dome. It is full airconditioned that will save you from hot weather of Singapore. Best time to visit here is around 4-6pm and then check out the Light Rhapsody to OCBC or Supertree. It’s cool and very pretty. No need to fall in line. Just present your e-ticket and your good to go. Went there past 4 in the afternoon and stroll around flower dome and cloud forest before heading to Supertree Grove for the rhapsody light and music show at night. It’s cool and very pretty. No need to fall in line. Just present your e-ticket and your good to go. Went there past 4 in the afternoon and stroll around flower dome and cloud forest before heading to Supertree Grove for the rhapsody light and music show at night. We had an amazing experience in Gardens by the bay. The ticket is so convenient. Just showing the mobile voucher at the gate and enter the domes. It’s cheaper to buy the tickets by Klook. 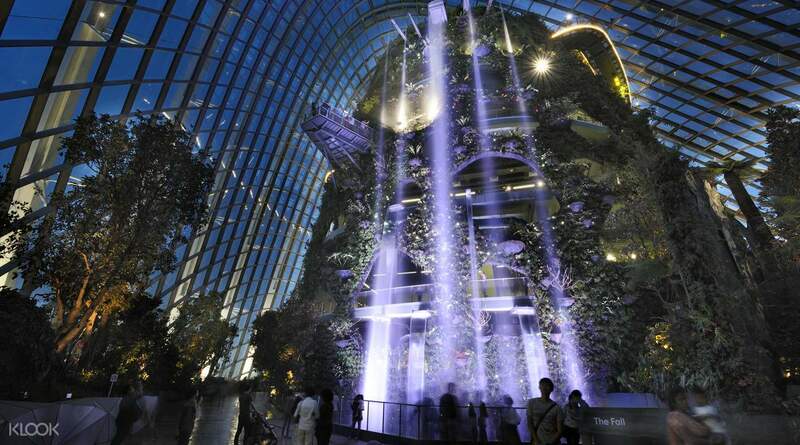 Both cloud Forrest and flower dome are worth to visit and there’s air con inside the dome so u won’t feel hot at all. We had an amazing experience in Gardens by the bay. The ticket is so convenient. Just showing the mobile voucher at the gate and enter the domes. It’s cheaper to buy the tickets by Klook. 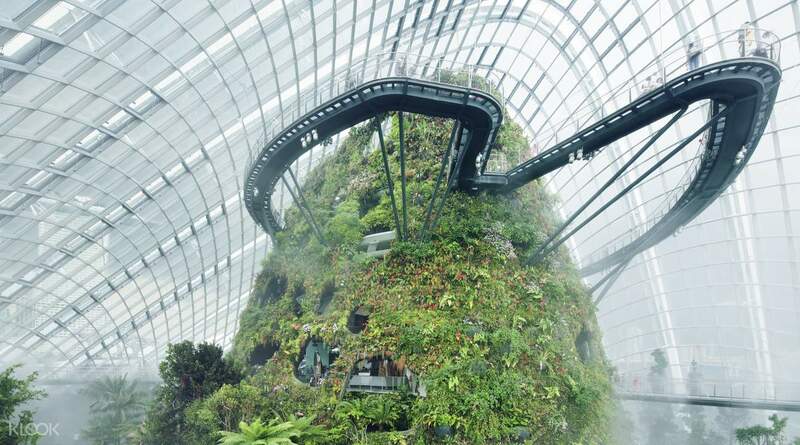 Both cloud Forrest and flower dome are worth to visit and there’s air con inside the dome so u won’t feel hot at all. It felt refreshing to be surrounded by so much trees and flowers! We enjoyed looking at everything and learning about the different plants~ It was sooooooo amazing. Awesome experience. Will definitely go back and book with Klook again!!!!!!!!!!! It felt refreshing to be surrounded by so much trees and flowers! We enjoyed looking at everything and learning about the different plants~ It was sooooooo amazing. Awesome experience. Will definitely go back and book with Klook again!!!!!!!!!! !